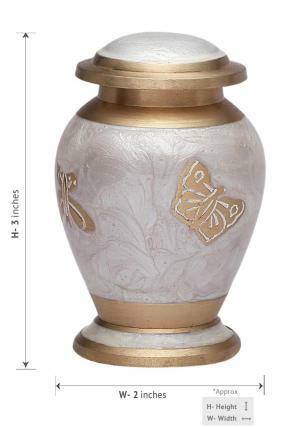 Mini white keepsake urn for ashes is crafted of solid brass decorated in pearl white with butterflies on it. 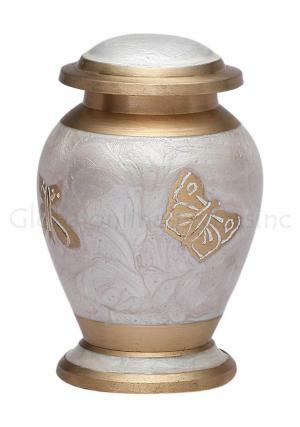 The urn is intricately well designed by skilled artisans with perfection as the prime motto and uniqueness in their art as the concern. The design has well polished gold band on the top of the neck with a flattened cutting edge hat with centered pearl white and threaded with gold on top and bottom. The memorial urn for ashes will be a great present to the family to remind loved one by storing minimal amount of ashes in it. 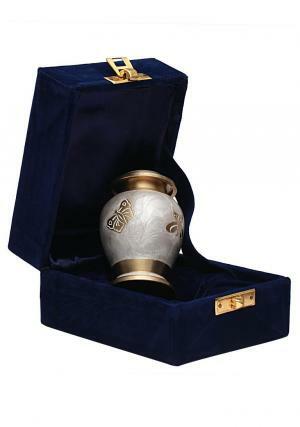 We do provide you the best value for price in terms of order for two or more mini urns. 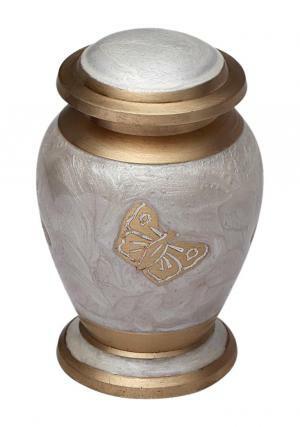 The mini urns are a part of skills that were put for to engrave beautiful butterflies on pearl white keepsake urn for a perfect memorial. 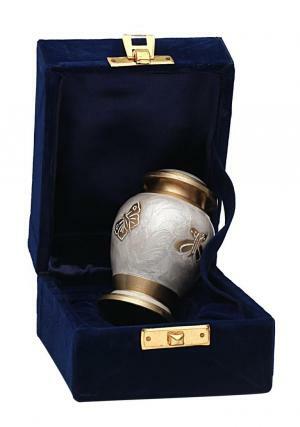 The mini keepsake funeral urn has a threaded lid on the top for an easy insertion of ashes into the urn. The small keepsake urn is measured to carry an approximate three tablespoons of ashes. 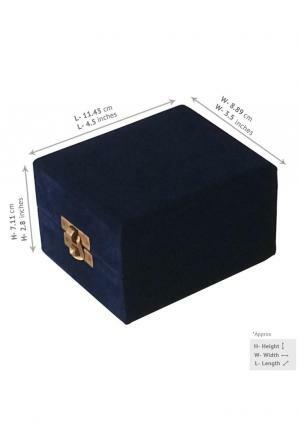 The mini urn weighs around 0.15 KG and stretches to 3 inches tall that comes up with a velvet box to place the urn in a secured place.